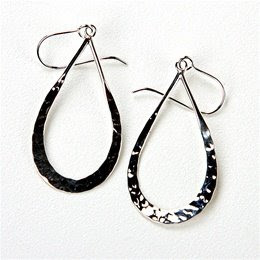 Tashi hammered teardrop earrings (except mine are gold vermeil, not sterling silver! ), from Front & Co. on Main Street. My goodness, that store is fun to browse. oo nice! I have a pair that are sterling silver, very similar to those. Very cute! One question: combien ce coute?